It’s no surprise that prom is wildly important to most high school students, as a rite of passage and a night they will likely remember for the rest of their lives. 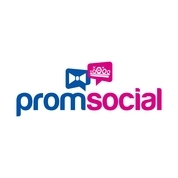 PromSocial, an exciting new startup, focused exclusively on the prom experience, aims to eliminate many of the common prom stresses teens face when planning for their big night. Old Bridge, NJ, February 04, 2018 --(PR.com)-- Prom is not something many students want to leave to chance or wait until last minute to plan, and for a very good reason. Without proper planning, the odds of things not working out as well as they could have, are very real. Enter PromSocial; A sleek, user friendly, prom-centric app that streamlines the way teens plan, organize and share their epic night for all to see. PromSocial simplifies the entire prom process from beginning to end and helps prom goers create memories that will last a lifetime. PromSocial is now available for download on iTunes and the Google Play Store. For more information or questions about what PromSocial has to offer, visit www.promsocial.com or contact the PromSocial team at ContactUs@promsocial.com.